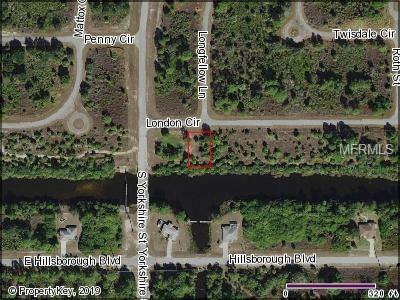 Fabulous lot on the Cocoplum Waterway, freshwater canal! Perfect for building your dream home in the flourishing city of North Port, home of the Atlanta Braves Spring Training in 2020. This property is close to IT ALL...US-41, I-75, schools, plethora of grocery & retail shopping, and dining. Minutes away from Port Charlotte, home for the Tampa Bay Rays Spring Training and Sunseeker Resorts planned to open fall of 2020. Convenient access to a multitude of golf courses, fishing, boating and stunning gulf beaches! Reduced price for a perfect opportunity to take advantage of now!